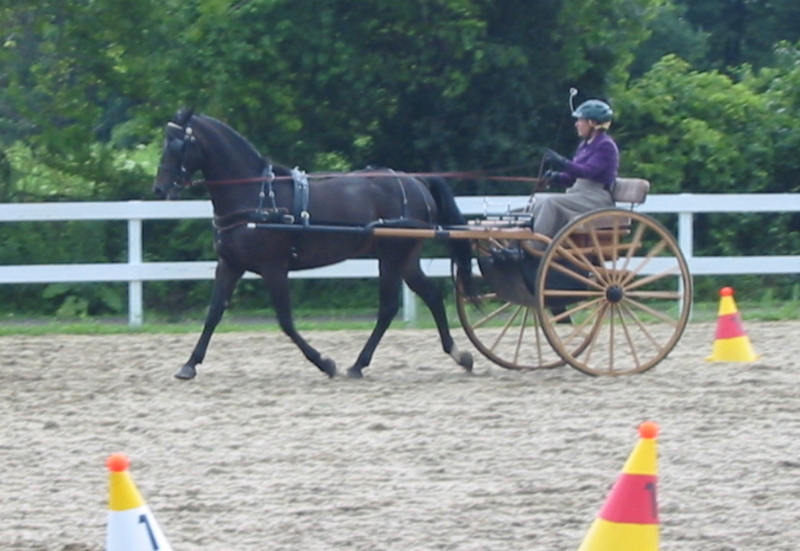 Margaret’s workshops offer a unique opportunity to learn more about the horse. You will learn specifically the horse’s basic characteristics, his capacity for understanding and how to present yourself to your horse in a way he will understand. You will learn what your horse has to do in order to do what you are asking him to do. Margaret’s practical and clear approach has helped everyone from trail riders and pleasure drivers to competitive drivers, eventers and dressage riders improve their skill and enjoyment in working with their horses. Workshops (half day) are offered regularly at Broken Wheel Ranch in Millerton, NY. Margaret is available to host workshops at your facility, too! Call (845-518-9376) or email (profcowgirl at gmail dot com) Margaret Beeman for details. The 2018 schedule is here. You can find a list of fees here. Popular subjects for workshops have included: Trail Riding Preparation, Driven Dressage, Drill Team Exercises, Dealing with Scary Objects, Improving Transitions, Pleasure Driving Safety, and Basic Horsemanship, among others.